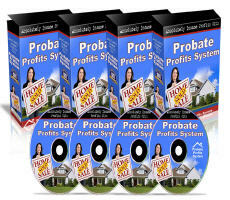 Insane Profits With Probate Investing! Probates greatly out number the amount of foreclosures! The trick to being successful in the market today is finding the hot segments and taking advantage of them. You need something where the competition is limited and where sellers are highly motivated and ready to sell, even at today’s lower than average prices. Probate investing is your answer. Unlike foreclosures, which may have come to mind, probate real estate is full of sellers wanting to sell and not sellers who are forced to sell. Probate investing is often misunderstood by investors and that alone makes it a great market. Many investors think it is time consuming and that selling it is difficult so they never even bother to check into it. The truth is that it is not difficult and not more time consuming than any other investment opportunity! !